The leaves are falling, the air turning cooler, and the Holidays are quickly approaching, which means it’s time for Salvation Army Bell Ringing. Each year, the Rotary Club of Tulsa raises thousands of dollars in support of the Salvation Army and it’s work in the Tulsa Community. Aside from “Ho, ho, ho!” and several songs by Perry Como, perhaps no other sound says Christmas more than the ring of a Salvation Army bell. The red kettle has been an American icon for nearly 125 years. From Thanksgiving to Christmas Eve, the ubiquitous buckets can be found outside thousands of storefronts in small towns and big cities across the country. They can even be found on your TV, appearing in dozens of movies. Red kettles raise millions for Salvation Army programs that provide food, shelter, rehabilitation, disaster relief, and much more for people and families in crisis. Last Christmas season, The Salvation Army Northern Division raised about $6.4 million at nearly 900 kettle locations in Minnesota and North Dakota. Nationwide, kettles raised almost $136 million. Indeed, red kettles are a Christmas force. 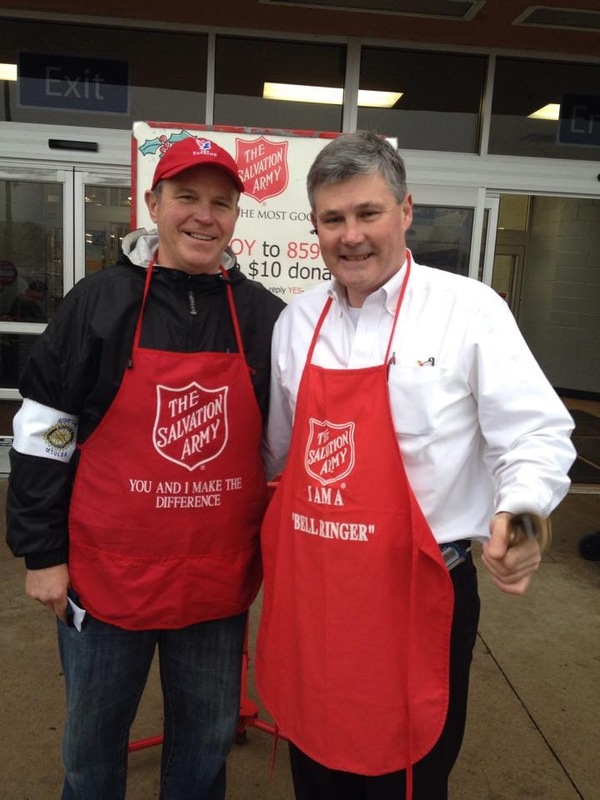 But have you ever wondered who started the red kettle tradition, where, and why? Wonder no more. Below is a short history of the Salvation Army red kettle, one of the most timeless and successful Christmas fundraising tools of all time. In December of 1891, Captain Joseph McFee of The Salvation Army in San Francisco, Calif., was stumped. He wanted to provide a Christmas dinner for 1,000 poor people, but had no way to pay for it. Then, an idea. He thought back to when he was as a sailor in Liverpool, England, where on the docks of the city’s waterfront he remembered seeing a large pot into which charitable donations could be thrown. The next day, McFee secured permission to place a brass urn at the Oakland ferry landing. Beside the pot, he placed a sign that read, “Keep the Pot Boiling.” Soon, he had all the money he needed to fund the Christmas dinner. Two years later, McFee’s fundraising idea had expanded to 30 kettle locations on the West Coast. He’d grown the program with help from two young Salvation Army officers named William A. McIntyre and N.J. Lewis. Soon after Christmas 1895, McIntyre and Lewis were transferred to the East Coast. They took with them the idea of a Christmas kettle. McIntyre was stationed in Boston. During the 1897 Christmas season, he, his wife and sister set up three kettles in the heart of the city. Their effort, combined with others on the West Coast and elsewhere, resulted in 150,000 Christmas dinners for the poor, nationwide. In 1901, kettle donations in New York City funded a massive sit-down Christmas dinner at Madison Square Garden. The meal became a tradition for many years. The rest, as they say, is history. Captain McFee’s idea launched a tradition that has spread not only throughout the United States, but across the world. Although red kettles are not found in all of the 126 countries The Salvation Army serves in, they can still be found in such distant lands as Korea, Japan, Chile, and many European countries. 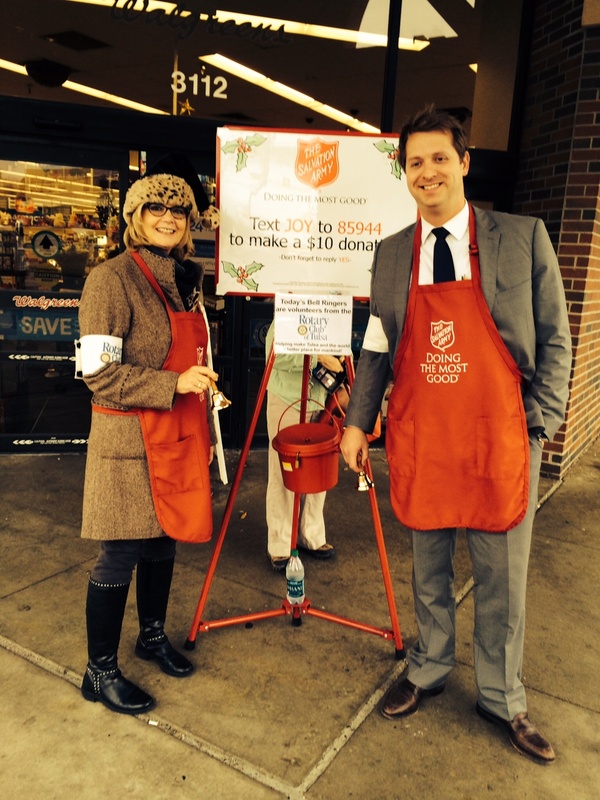 You can be part of the red kettle tradition by volunteering to ring bells. Thousands of hours of ringing are available at hundreds of kettle locations across Minnesota and North Dakota. Bell ringers raise an average of $30 per hour. In just two hours of ringing, you’ll raise enough money to provide a week’s worth of groceries for a family of four.